Field Programmable Gate Arrays (FPGAs) are an ideal platform for building systems with custom hardware accelerators, however managing these systems is still a major challenge. The OpenCL standard has become accepted as a good programming model for managing heterogeneous platforms due to its rich constructs. 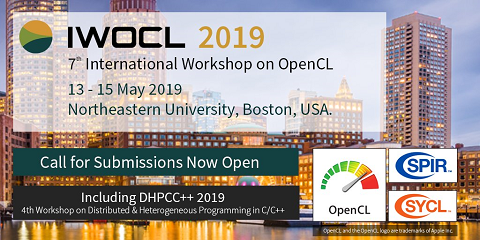 Although commercial OpenCL frameworks are now emerging, there is a need for an open-source OpenCL framework that facilitates the exploration of the overall system architecture and software, as well as the implementation and architectures of the custom hardware accelerators (devices). In this paper, we use an OpenCL framework to compare interconnect implementations for a simple multiprocessor accelerator.